This quotation (which got me thinking a little too much) starts off John Gossage’s new Super Labo book The Absolute Truth. I have dragged my feet in writing about this book because of my own initial thoughts on the opening statement. How do you start off a series of images with such a definite declaration? 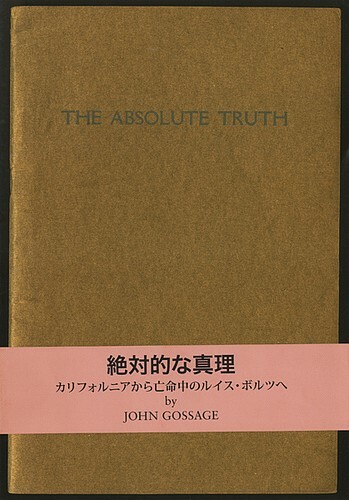 Yes, Gossage is one of photography's most prolific artists, a leader in defining photographic approach. The attractiveness of his work is in many ways based on his inherent ability to follow his own instincts… and is a trait of unquestionable admiration. While many photographers will find a singular image to develop a body of work around (and sometimes a career) it is refreshing to continually see such a prolific photographer redefine their own boundaries. But back to the question at hand: What’s up with that quotation? When speaking about his seminal book The Pond, Gossage directly described the series as a narrative. So why the change in heart? What has changed to redefine the images in The Pond or any of his other projects as consisting of single distinct units? I have thought long and hard, my head sore from the conversations with colleagues that have been provoked by these three sentences, and I am still left without an answer. Although the questions have challenged my notions of photography, they have also opened doors to my own process of viewing photographs. 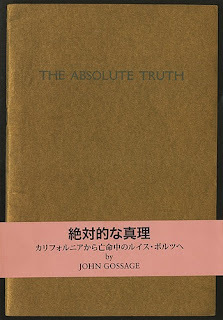 Within Gossage’s narrative lies the singular image on each page. Each of his photographs tell their own story to absorb and contemplate, and as the page is turned we are allowed to let the last photograph slip into memory and thus delve into the next. 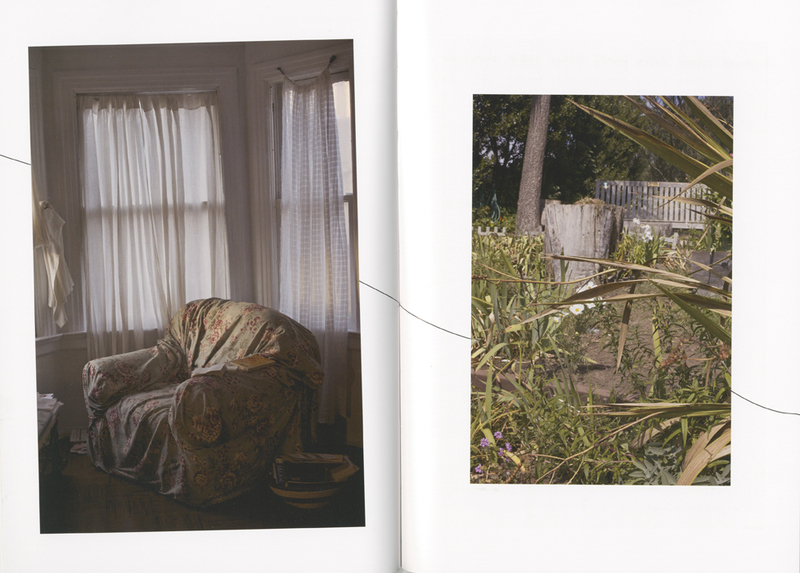 The following pages all add upon each other, but in a sense each photograph declares its own unique statement.